I’m the type of person who is always up for a challenge. This past week I was tasked with creating chicken recipe with only five ingredients. I thought that’s easy! Chicken is so versatile and there’s thousands of different ways you can eat it. 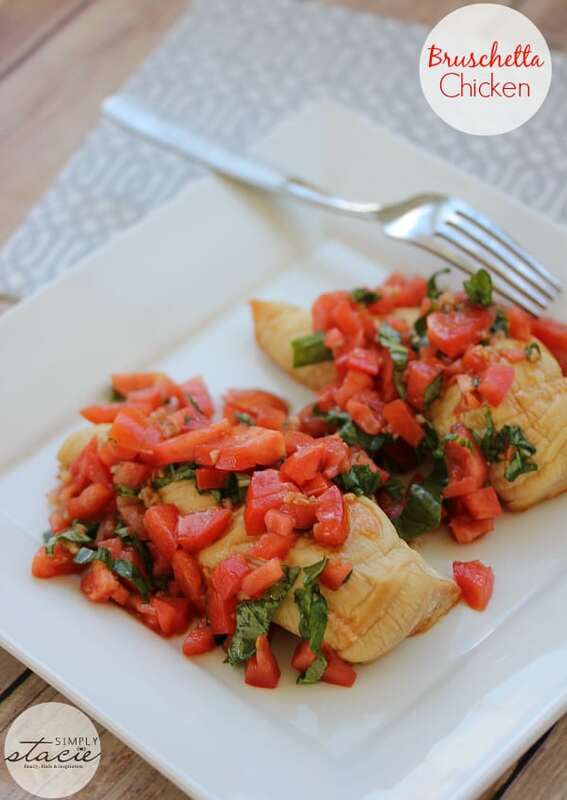 I made up a batch of bruschetta and thought it would be delicious served over top of a chicken breast. Plus it’s a healthy low carb meal that you don’t have to feel guilty about eating! My five ingredients were garlic cloves, olive oil, balsamic vinegar, fresh basil and plum tomatoes. 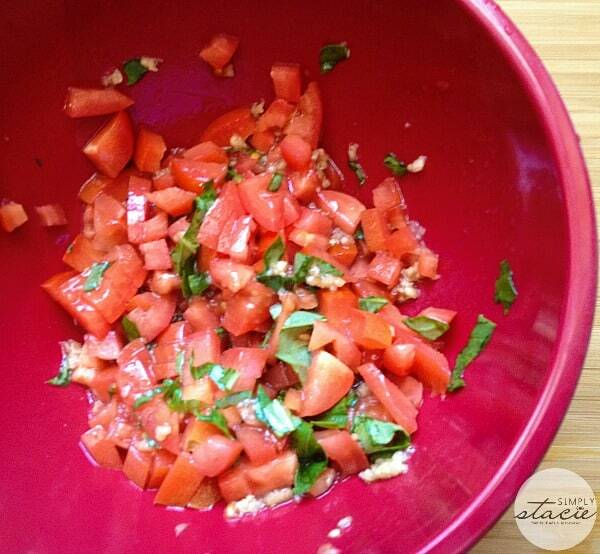 Chop it all up and mix it all together in under 5 minutes and you have yourself some bruschetta. Even John who isn’t crazy about tomatoes asked for seconds. So there was a method to madness here and that was to give you an example of a recipe for a challenge currently happening with Just BARE Chicken! 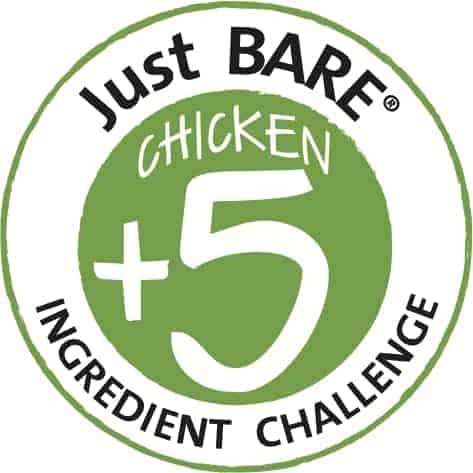 Between January 14 to February 28th, you can enter the Just BARE Chicken + 5 Ingredient Challenge for a chance to win $500. Start with Just BARE Chicken and think of five more ingredients to include in your dish. Easy! You can enter once per day. 10 finalists will each win $500 and their entries become the new recipes created by national food bloggers. A round of online voting will help determine the grand champion. 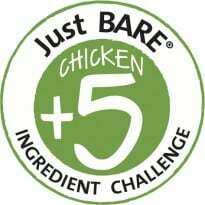 Get those chef’s hats on and create your Just BARE Chicken + 5 ingredient dish. Be creative and show off your culinary skills! The contest is open to USA only. Check out the rules and FAQ for further information. Only five ingredients in this mouthwatering dish! 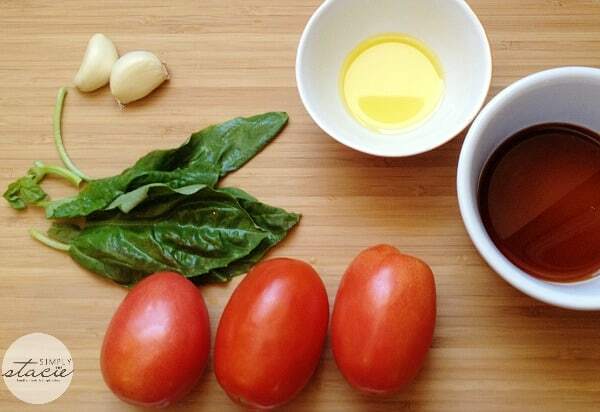 In a medium bowl, combine tomatoes, garlic, olive oil, balsamic vinegar and fresh basil. Spoon over top of cooked chicken breast. 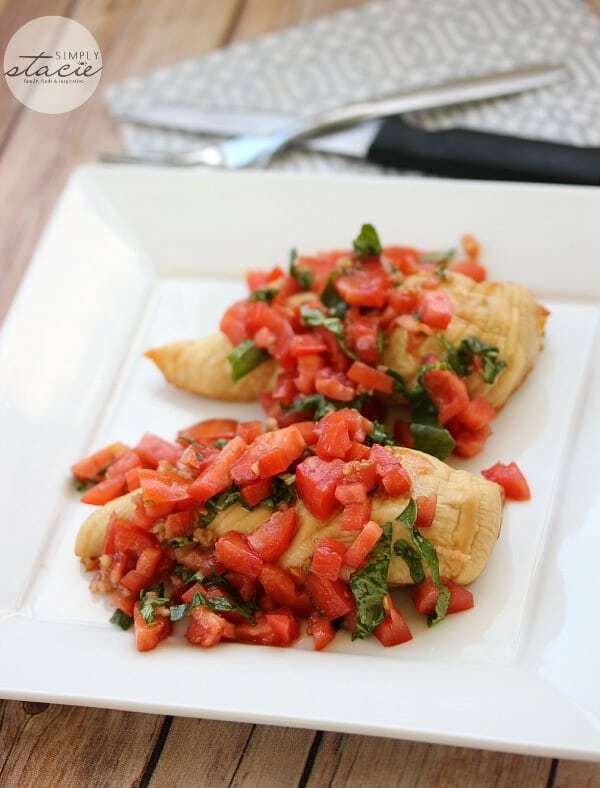 Refrigerate any leftover bruschetta.